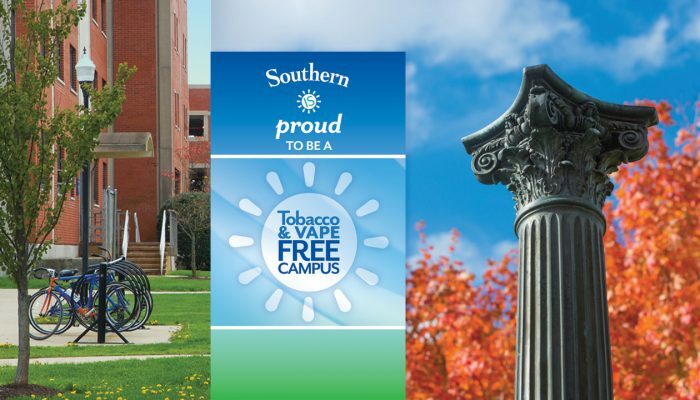 The state Department of Public Health has awarded Southern a grant for $235,496 to enhance its leadership role in snuffing out campus tobacco use and to encourage its students to kick the habit. The grant comes a year after SCSU became a tobacco-free campus, which means tobacco use in all its forms – as well as the use of e-cigarettes – are prohibited on all campus property. Southern was the first public university in Connecticut to make that transformation. *Train students to become tobacco-free “ambassadors,” who will help connect tobacco users to services that can help them quit. A part-time, tobacco-use cessation coordinator will be hired to oversee this program, as well as assist with other cessation programs. *Provide technical assistance and training to other Connecticut public universities that are interested in becoming tobacco-free. *Expand tobacco-cessation services on campus. Counseling and nicotine replacement medications will be among the services offered. “Southern is proud to be the first public university in Connecticut to go tobacco-free, and this grant will allow us to collaborate with our sister schools to improve the health and safety of more students,” said Emily Rosenthal, coordinator of the SCSU Wellness Center. 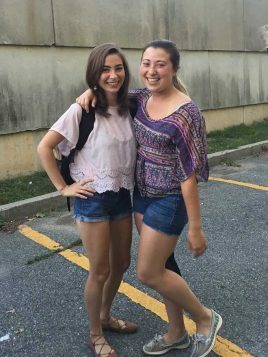 Rosenthal said the percentage of male students who identified themselves as casual smokers (any use within 10 days of taking the survey) dropped from 26 percent in 2014 to 17 percent in 2016. Casual female smokers dipped from 14 to 13 percent during that same period. In addition, use of electronic vapor devices also dropped. Male students who said they had been vaping within 30 days of the survey plummeted from 17 percent in 2014 to 9 percent in 2016. Vaping by female students also fell from 9 percent in 2014 to 3 percent in 2016. Evan Finch wants to get to the heart of the matter – “strange quark matter,” that is. The assistant professor of physics at Southern and expert on particle/nuclear physics has been researching whether this theoretically enigmatic type of matter exists. If proven, scientists believe it could hold the keys to unlocking many mysteries of the universe. While the Earth is made up of atoms, which form “visible matter,” a larger portion of the universe is believed to be made up of “dark matter,” which does not emit light and is invisible. But physicists theorize that another type of matter – called strange quark matter, or “strangelets” – is part of creation, as well. It has yet to be proven, but if it exists, scientists say it would be much heavier than visible matter, likely thousands of times as dense. It could be one of the building blocks of neutron stars, and it could even be responsible for influencing the space-time continuum. Optical: NASA/HST/ASU/J. Hester et al. X-Ray: NASA/CXC/ASU/J. Hester et al. Finch has been part of a team of scientists involved with the use of an Alpha Magnetic Spectrometer (AMS) for the International Space Station. The AMS measures the level of cosmic rays in the atmosphere, which is important information needed to prepare for a manned flight to Mars by NASA in the next 20 years or so. But the AMS also can detect strange matter, as well as dark matter. The AMS was installed on the space station in 2011. Finch said it is more likely to capture strange matter at the station, than on Earth. 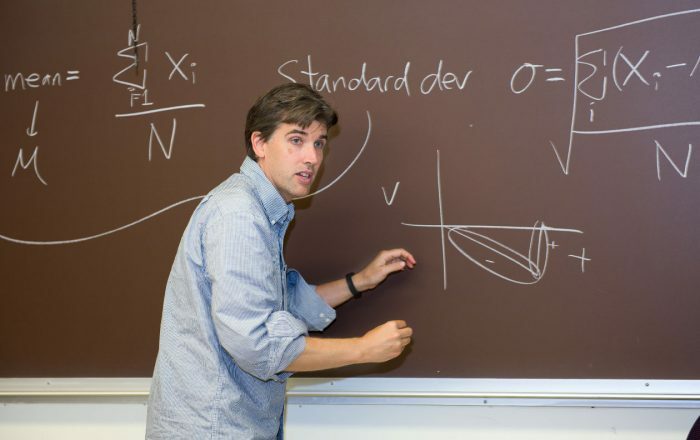 Finch, now in his third year of teaching at SCSU, brought two students interested in particle physics – Richard Magnotti and Michael Schriefer — to the Brookhaven National Laboratory on Long Island during the summer for three short trips. During the trip, the students sought to troubleshoot a small detector that is used as part of the lab’s Relativistic Heavy Ion Collider, which recreates conditions that are believed to have existed in the first millionth of a second after the Big Bang. 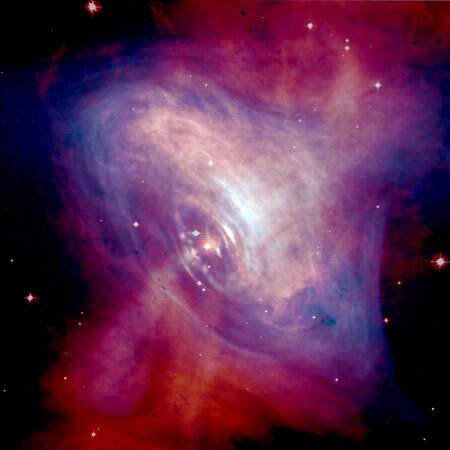 The Big Bang is the most commonly held theory by scientists in terms of what ignited the start of the universe. Finch said the collider is the second largest in the world. “While we weren’t able to find out the cause of a problem in the detector, we were able to re-purpose it,” Finch said. The European Organization for Nuclear Research, known as CERN, is a research organization that operates the largest particle physics laboratory in the world. Located in Geneva, its Large Hydron Collider is where the Higgs boson particle, sometimes called the “God particle,” was proven in 2012. Terrell “Terry” Ward Bynum, professor of philosophy at Southern and founder of SCSU’s Research Center on Computing and Society, has been selected for one of the most prestigious faculty awards within the Connecticut State Colleges and Universities system. The state Board of Regents for Higher Education Friday bestowed Bynum with the title of CSU (Connecticut State University) professor. Southern, Central, Western and Eastern Connecticut State universities each can have up to three such professors. Bynum fills an SCSU vacancy left by the recent retirement of James Mazur, who was named as a CSU Professor in 2010. Bynum joins Southern’s current CSU Professor, Vivian Shipley, who is a professor of English. 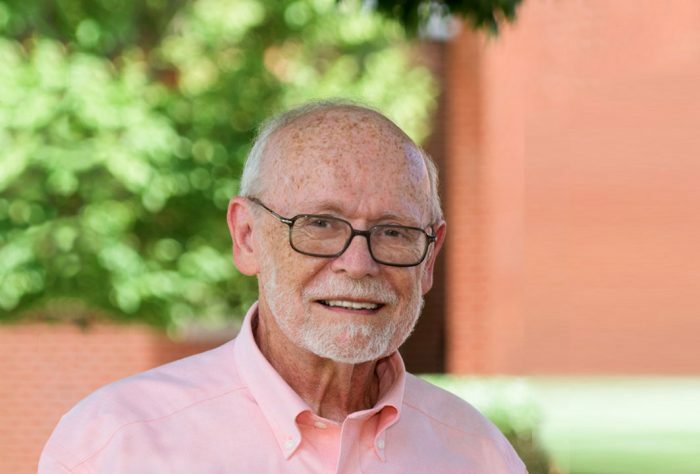 A third CSU Professor at Southern, Joseph Solodow, recently retired, leaving a vacancy. In addition to launching the Research Center on Computing and Society, Bynum organized and hosted the first international computer ethics conference in 1991. The event was funded by the National Science Foundation. He received the inaugural INSEIT/Joseph Weizenbaum Award in information and computer ethics in 2009 during the International Conference of Computer Ethics: Philosophical Enquiry. The award was presented for making significant contributions to the field of information and computer ethics through research, service and vision. And earlier that year, he was chosen as the recipient of the American Philosophical Association’s Barwise Prize for his life-long work on computing and human values. Bynum is an accomplished author, having written his first book, “Gottlieb Frege, Conceptual Notation and Related Articles,” about a noted German philosopher. Oxford University Press would eventually republish the book as an Oxford Scholarly Classic, according to Troy Paddock, chairman of the CSU Professor Advisory Committee. Bynum would go on to write books on computer ethics, as well. “He is considered to be, by more than one scholar, the ‘founding father’ of the field,” Paddock said. He established the American Association of Philosophy Teachers and has conducted more than two dozen teaching workshops, Paddock said. He also created the Computer Ethics course at Southern and has taught in the SCSU Honors College. Bynum began teaching at SCSU in 1987 and holds a Ph.D. in philosophy from City University of New York. For more than 50 years, James Barber ‘64, M.S. ’79, has given dedicated service to Southern Connecticut State University and its students. He was recognized by the SCSU Alumni Association with its 2016 Distinguished Alumnus Award on Friday, Sept. 9 at a campus event attended by more than 300 family members, friends, and fellow alumni. A record-setting hurdler as a student athlete, Barber went on to become a successful Owls coach for almost 25 years, training numerous track champions and many All-Americans. His expertise also saw him coach both the men’s and women’s USA track teams at national and international championships. In 1971, Barber launched Southern’s first Summer Educational Opportunity Program, which over time successfully opened the door to a college degree for scores of minority students. He also led the university’s affirmative action office, served as director of student supportive services for more than 20 years, and now helps to advance Southern’s mission as director of community engagement. 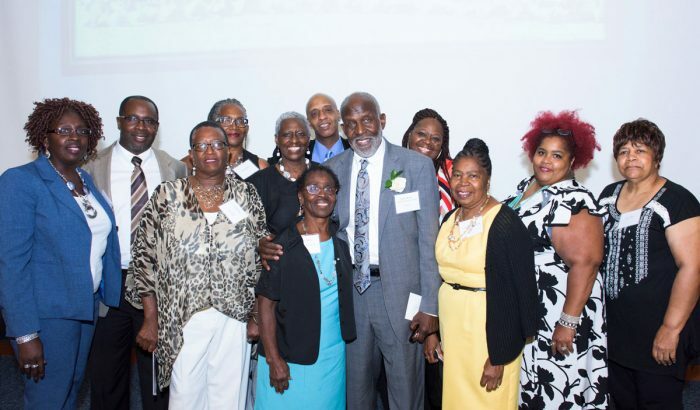 A committed community activist, he founded New Haven’s track and field outreach program for young people, working with more than 4,000 children and youth over the years. And he has served as president and a long-time board member of the New Haven Scholarship Fund, which has assisted generations of local high school students to pay for a college education. “Unsurprisingly, you are a legend in New Haven, having inspired and mentored generations of city youth,” said Connecticut Gov. Dannel P. Malloy, in a citation honoring Barber. “And at Southern, your influence both on and off the field has impacted students and alumni nationwide, many of whom say they would never have graduated without your support and guidance. View a video tribute to James Barber. View a photo gallery from the Distinguished Alumnus Award event. Here is what I did the week leading up to my departure! Southern’s efforts to bolster computer science education in the region have caught the attention of the White House. SCSU is mentioned in a White House fact sheet released Sept. 14 to highlight the efforts of schools and other organizations across the nation that expand access to computer science, particularly at the K-12 level. A summit was held on the same day at the White House to celebrate recent commitments to improve computer science education as part of President Barack Obama’s Computer Science for All initiative. SCSU had submitted materials to the White House that showcase the university’s push. Lisa Lancor, chairwoman of the SCSU Computer Science Department, and Winnie Yu, a computer science professor coordinating this effort, were notified last Friday that Southern would be recognized. “It is great to see this national effort to expand computer science offerings at the K-12 level – an initiative that is certainly needed,” said Lisa Lancor, chairwoman of the SCSU Computer Science Department. “We are merely tying in what we’ve been doing, and it is wonderful to see that the White House is recognizing our contributions. “Being selected by the White House for recognition is a boost to the morale of our students and faculty,” Yu said. *A commitment to increase the number of women majoring in computer science at SCSU from the current 13.8 percent to 25 percent within two years. It is part of SCSU’s participation in the National Center for Women in Technology’s Pacesetters program. *A training program for high school teachers on mobile computing so that the teachers can more effectively teach their students. Mobile computing is being taught in more than 200 schools across the country, including some in Connecticut. *A mentoring program in which at least 10 Southern computer science students will conduct weekly, after-school mini program lessons in computer programming to 20-30 middle school students at Beecher Museum Magnet School of the Arts and Sciences in New Haven. The program began more than a year ago. Michael Kuszpa, a middle school science teacher at Beecher, said he is excited that the mentoring program is continuing. He said his students have been learning various 21st century computer coding skills, ranging from building smart phone applications to coding simple computer programs. “The interaction between SCSU’s students and the middle school students of Beecher has helped spark a much needed interest among our students into the field of computer science — a high demand STEM (science, technology, engineering and math) career field,” said Kuszpa, who also is a student in SCSU’s Ed.D. (Doctor of Education) in educational leadership program. According to the White House, nine out of 10 parents would like computer science to be taught at their child’s school, but by some estimates, only a quarter of K-12 schools offer a computer science course with programming included. The need for such skills across industries continues to grow rapidly, with 51 percent of all STEM jobs projected to be in computer science-related fields by 2018, the White House said. 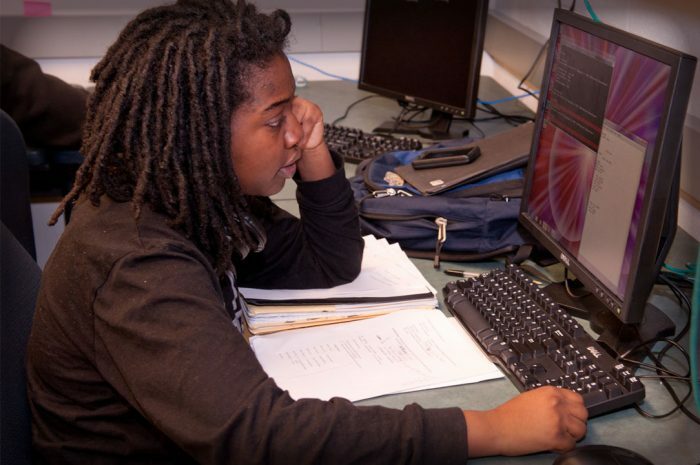 Furthermore, some estimates show that three-quarters of U.S. schools do not offer a single computer science course with programming, according to the White House, which adds that lack of access is even worse for communities traditionally underrepresented in computer science and other STEM fields. In fact, the White House said that only 22 percent of students who took the Advanced Placement computer science exam in high school were girls, and just 13 percent were African-American or Latino students. My name is Erica Surgeary (yup, just like the operation). I am a senior majoring in Event Management. I am from Long Island, New York so I’m already used to traveling across open waters to go to school (haha). 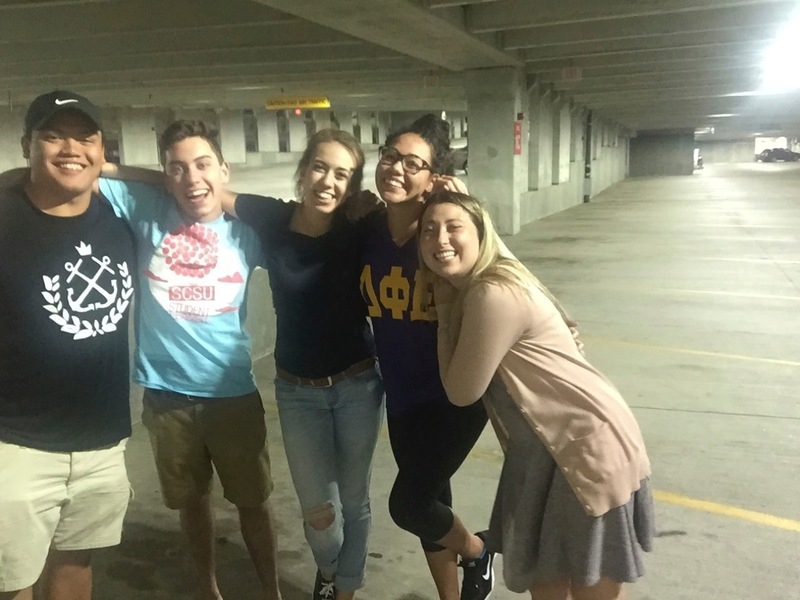 At SCSU I live on campus as a Resident Advisor, I am a Peer Mentor Coordinator, Orientation Ambassador, and a tour guide. 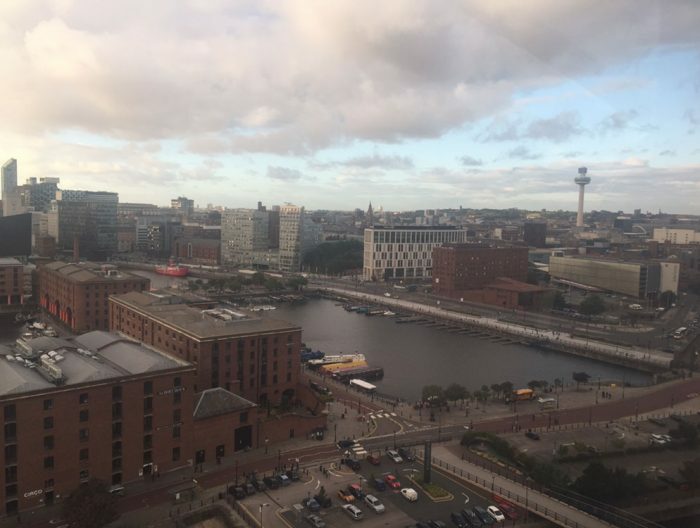 I am studying abroad in Liverpool, England from September 14th – January 6th. I will be an exchange student at Liverpool’s John Moores University. I will be sharing a suite/flat with five other SCSU students in a building called Capital Gate. You say goodbye, & I say hello! Wednesday’s occur 53 times a year, it’s the hump day of a long workweek, and it’s commonly known among teens as the day you wear pink. I’ve spent years of dreaming, months of planning, and days of counting down to this Wednesday. Well, this Wednesday is finally here! On September 14th, I leave the owl’s nest for four months to study abroad in Liverpool, England for the fall semester! But, I’m not just studying abroad… I’m proud to say that I am a pioneer for Southern Connecticut State University’s student exchange program and Liverpool’s John Moores University. I’ve been waiting on standby for almost two years for this “Atlantic Crossing” program to take off. Now, you may ask, why did I wait for fall semester of my senior year? (FYI, college really does fly by). Well, my insightful advisors in the Recreation, Sports, and Event Management department were the engineers of this exchange program. They put the pieces together and paved the runway for students like me to be the test pilots for this adventurous flight. In March 2016 I spent my spring break in Prague visiting Allee. We went to Vienna, Prague, and Budapest in 10 days. My short time in these three European cities gave me new perspectives. I was overly exhausted, my shoes were stuffed with band-aids and tissues from countless blisters on my feet, and we probably got lost twenty times, but it was the best trip I’ve ever had. So now I am thrilled to take these lessons learned into my own adventure abroad. I will be joined by 5 other students from SCSU who are also test- piloting the program. We really don’t know each well yet and we have different majors, but we decided to share a six-person suite. (Check out Chris’s blog too!). Did I mention we each get our own room and bathroom??!!?! In preparation for my flight, I returned home last week to Long Island, New York after spending my entire summer at SCSU working for New Student Orientation and interning with the Office of Student Involvement. 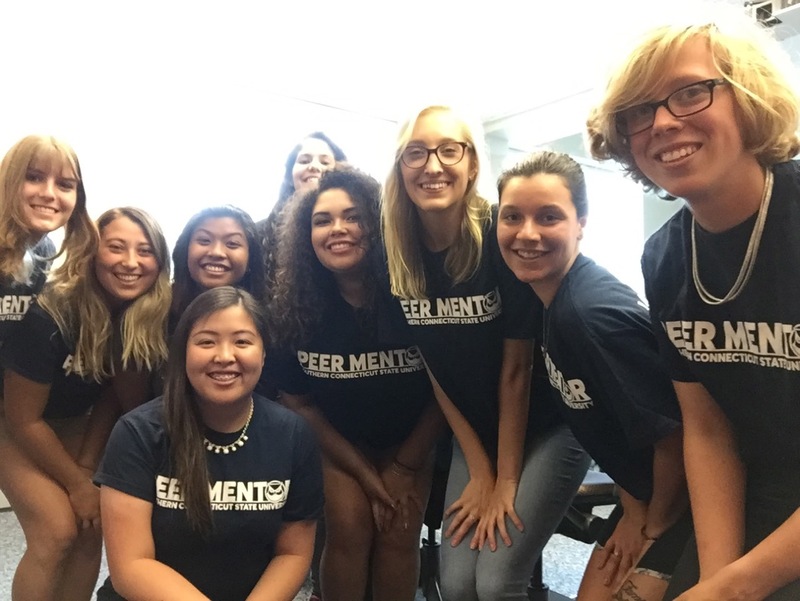 I’ve been in the driver’s seat all summer steering the Peer Mentoring program in a new direction. My summer experiences were challenging and incredibly rewarding (making it a million times harder to say goodbye). But now, it’s time to say hello to OWL the places I’ll go! *I’ll apologize in advance for the OWL puns… can you tell I’m in love with Southern? So like a hot air balloon, I’m going to hop on and ride across the pond. These next few months are filled with unknowns, but I can’t wait to see how much I’m going to learn and grow. Follow me along the way because this blog is intended for OWL WHOOO want to know what it’s like to liv across the sea and call Liverpool my home! My adventure is waiting. I’m on my way. Bon voyage USA! 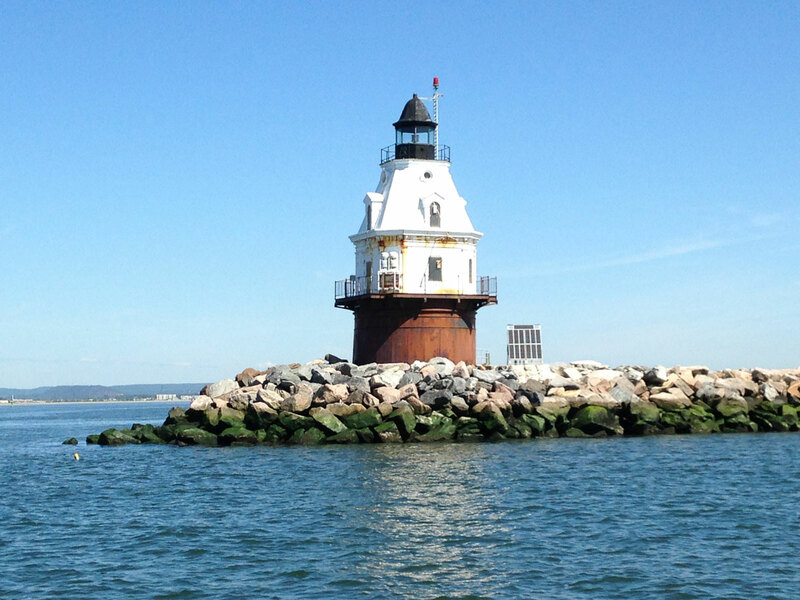 Southern marine science students soon will be able to use the Southwest Ledge Lighthouse — which overlooks New Haven Harbor — as a base to conduct research, thanks to the generosity of a group of donors who bought the facility. The donors were awarded the lighthouse recently after posting the successful bid of about $180,000. They plan to renovate the lighthouse in preparation for future use of the facility by SCSU’s Werth Center for Coastal and Marine Studies, as well as other education organizations. SCSU intends to use it as a field station that would include classrooms and lab space. The New Haven Register ran a Sept. 3 story about the purchase and future use of the facility by Southern and other groups. It’s finally sinking in that I’m leaving home tomorrow. On Sunday, September 4th, 2016, I, Chris Rowland will be departing from the International Terminal of Boston’s Logan Airport. My destination: Liverpool, England. I am spending the first semester of my senior year away from SCSU studying at John Moore’s University. The past 6 months have been spent preparing myself for this journey: obtaining my passport, working with the OIE, securing funding, finding the best deals on airfare, etc. But until I started packing as much of my life as can fit into one suitcase and one carry-on backpack, it hasn’t felt real. At this moment, I’d quickly like to thank anyone and everyone who has helped me to realize this dream of mine. My parents, family and friends for supporting my decision; the OIE for being so helpful in sorting out the details; and my friends at the School of Business who helped me to afford it. This blog is dedicated to all of you because without you all I certainly wouldn’t be about to embark on this once-in-a-lifetime experience. Now, I must confess that as excited as I am at all of the prospects which await me overseas, I am equally as nervous. I have never been out of the United Staes before except for a brief foray into Canada, and therefore I honestly don’t know what to expect. I’ve read countless articles online about others’ experiences with study abroad, the culture of Liverpool and the UK, and tips for traveling in general, but until I touch down in a foreign land where I know no one, I am a ball of nerves. Don’t get me wrong, I don’t mean final exam nervous dread, it’s more of a before the big game excited nervous energy. The chance to trace the Beatles’ footsteps, to feel the buzz of a football (soccer) stadium on matchday, and to study British Literature in its native land all await me, and I can’t wait to experience it and more. I also can’t wait to share it with you all through this blog. By my next entry, I will be in Liverpool, and I look forward to bringing you along with me. Until then, I hope everyone has a safe and productive start to their semester.